Ok, so lets talk about fitness, and how to incorporate a workout if you have no time to hit the gym. As a working mother it can be hard to find the time to head to my local gym, fortunately you need very little equipment to have a successful workout, and as I'm training to become a fitness instructor & personal trainer, I actually create my own workout plans for fitness at home. The key is to utilise objects or furnishing within your household, and combined them with your favourite gym equipment. I enjoy using at the gym, as I workout 2 days per week at the gym, and the rest at home it was vital I invested in a few pieces as I love keeping my workouts fresh and exciting. You can build your collection over time there's no need to buy everything all at once, and only purchase if you have the space. There's nothing worse then buying products that create clutter within your home. Well, lets take your stairs, if you are living in a house or apartment with stairs use them. I often centre one of my workouts around my stairs, They are great for burst of cardio and interval training. Run, jump or walk up them, They will soon have you bursting into a sweat. Can help with balance and assist with leg or arm toning. Pinterest is great for downloading workout routines, create your own for more personalised goals or head over to YouTube where you can find many fitness related information from qualified trainer's. Having a workout play list is also a recommendation. This will help to keep you motivated especially during those cardio burst. Spotify have some great playlist/podcasts available or of course you may wish to create your own my favourite playlist is - You can do it created by Spotify but there are many to choose from. Lastly, Hydration no workout is complete without making sure the body is well hydrated. Drink water and plenty of it, if you get bored easily then add a few pieces of fruit, lemon or fruit infused ice cubes in your water bottle, this can help give a refreshing twist. Since I was a teenager, I suffered terribly with IBS (irritable bowel syndrome) for years I tried every product available on the market to ease my symptoms with very little joy, I was taking medication daily and was still feeling sluggish, in pain and unable to control my emotions. My doctor would recommend eating a high fibre diet, but this just made me worse. I couldn't understand why oh why I was doing as my doctor had recommended, but still I was suffering. Then I decided enough was enough, it was time for me to take charge of my diet without relying on medication to control my condition. I have converted so many of my friends and family to this product and here is why- its an excellent replacement and taste divine in porridge, tea. or you can use it when cooking dishes such as coconut rice or curries Its so versatile which makes it one of favourite's. There are some many different brands and it depends on the taste and texture you prefer but add your favourite fruit, honey or preferred milk and this a definite winner . 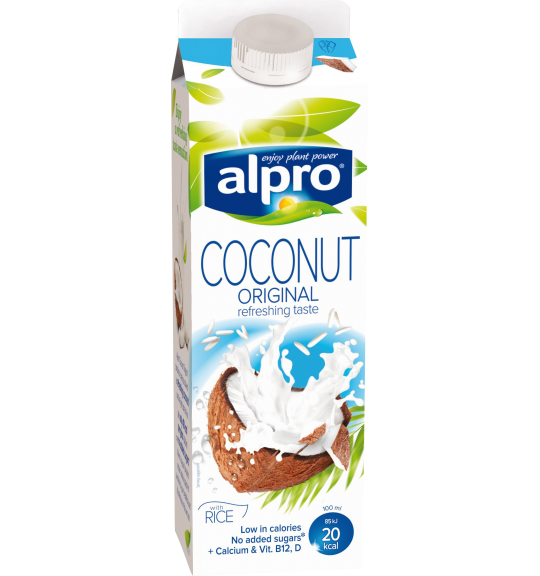 I actual us this for my daughter, I find it's great with cereals unlike the coconut milk which I personally wouldn't recommend with cereal and as my daughter was complain if stomach ache after drinking pasteurised cows milk after switching to this I never had a problem. This has been one of the hardest product to find a good quality pasta that doesn't turn the water all white and slimy. My personal favourite is Asda' or Tesco's own brands they taste similar to normal pasta and I often prepare this for family and friends with no complaints. Koko is a great brand, and I must say, I completely love this combination of coconut and strawberries . Its a great alternative to dairy or soya and if your like me and love the coconut taste then this is a great replacement product. Luckily over the years the gluten free and diary free market has evolved . After some careful research and keeping a food diary I noticed that I had an intolerance to wheat and dairy as they both made me feel bloated and in constant pain, I wanted to try and test out what was on offer so I signed up Juvela newsletter they also offer a free starter pack of great products, and can honestly say I never turned back. Since then I have tried so many different products from various brands and I can honestly say the taste, and variety has really developed over the years. Lastly I must say I'm not a medical, health or nutrition professional, so its important that if you have any symptom's that are bothering you, please consult with a professional first before taking action. As the weather in the UK continues to be rather unpredictable, its put me on mission of reminiscing on lovey sunny days, sandy beaches and ice cold drinks. The past few days I've realised that spring is finally here. Today we decided to take the plunge and took a visit to the swimming pool. I can't tell you just how good this felt- ok so its not exactly the sandy beach I've been dreaming of, however the feeling of the water against my skin felt so good a feeling I've been longing for. After I took a long nap, followed by a nice evening stroll. I can honestly say its the best I've felt for weeks. Looking forward to what the rest of the week has to offer..
© Nadia Elizabeth. All rights reserved.